Two ounce bottle of full spectrum Hemp Extract from certified organic hemp, processed without use of heat, pressure, solvents, or alcohol to maintain nutritional integrity of extract. Our hemp extract uses a proprietary delivery system which increases the bio-availability (absorption by the body) up to 10 x over taking Hemp in any other form. 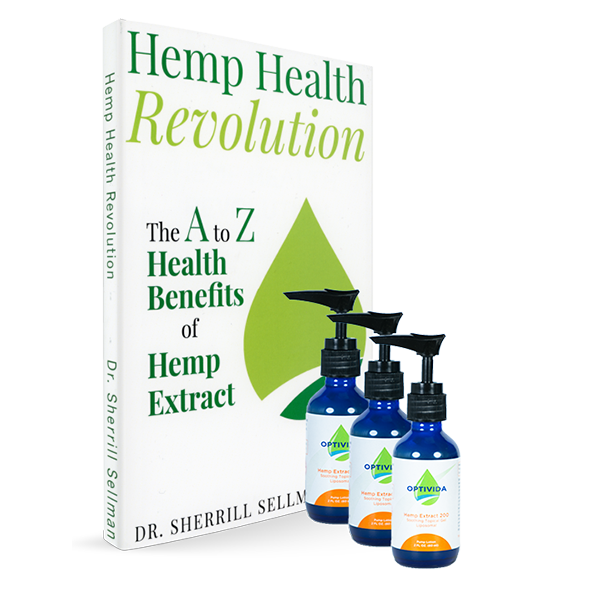 Each serving size provides 10 mg of Hemp Extract, but the equivalent of 100 mg in actual absorption and utilization by the body as compared to other forms of Hemp. Dr. Sherill Sellman’s book, The A to Z Health Benefits of Hemp Extract, provides a wealth of information about how key cannabinoids in hemp oil have been found to effectively treat symptoms of an ever-increasing number of conditions. The human endocannabinoid system is one of the most fundamental physiological systems in our bodies – a “primordial language that [our] nerves and brain cells use to communicate,” says Dr. Sellman. The endocannabinoid system is responsible for maintaining homeostasis (balance) in the body. When this system isn’t functioning properly, we start experiencing pain, sleep difficulties, fatigue, and a whole host of other symptoms.